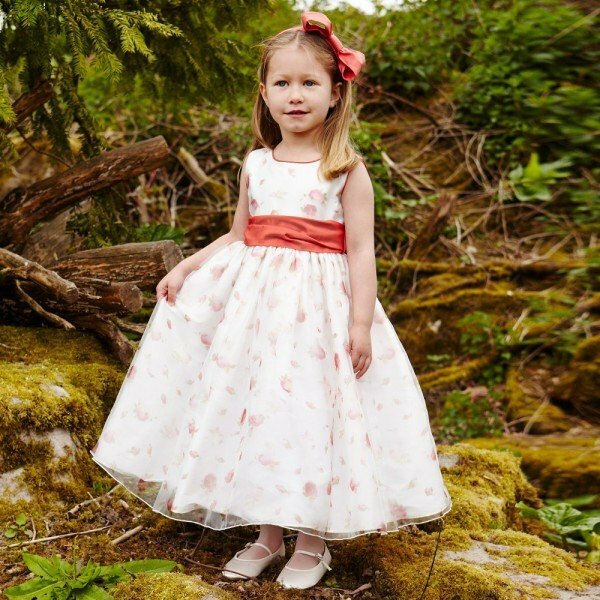 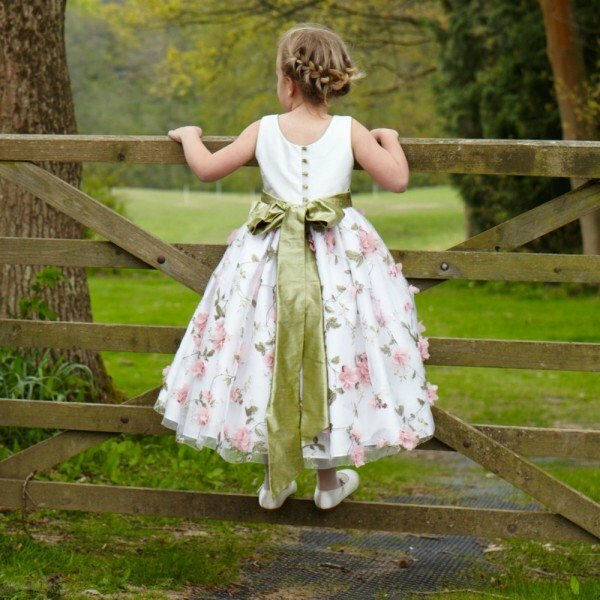 Your little girl will look like a princess wearing this beautifully silk organza ‘Francesca’ dress by Nicki Macfarlane. 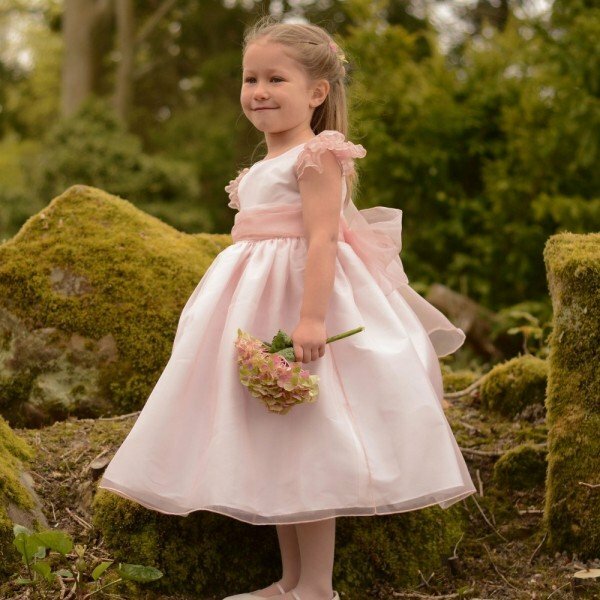 Perfect for any special occasion, this pale pink silk organza dress has an ivory silky feel layer, and fitted bodice with delicate ruffled capped sleeves. 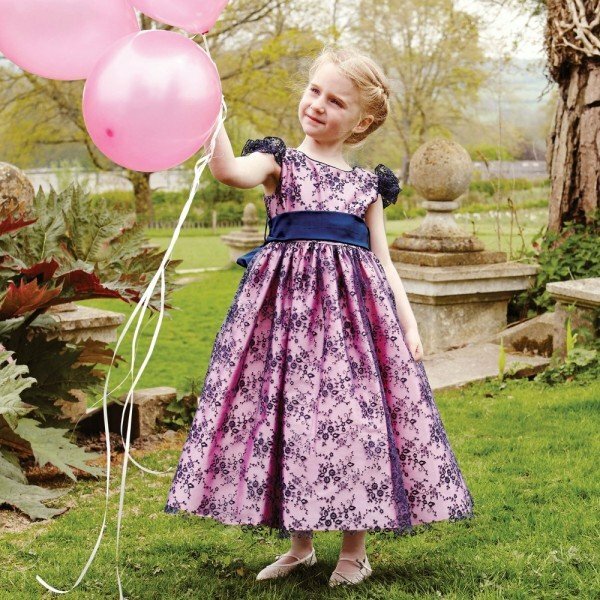 The Francesca dress also comes in a royal shade of light blue. 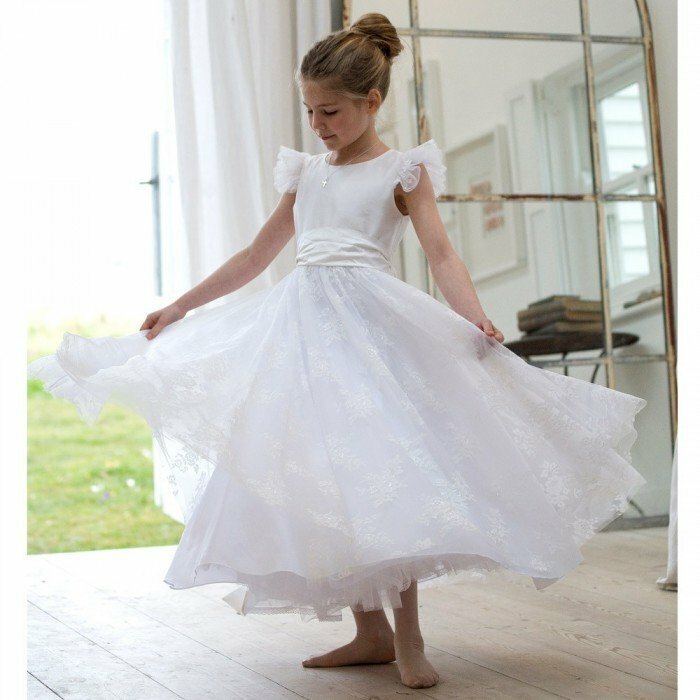 Nicki Macfarlane designed the elegant dresses worn by the bridesmaids at the Royal Wedding of HRH The Duke and Duchess of Cambridge.